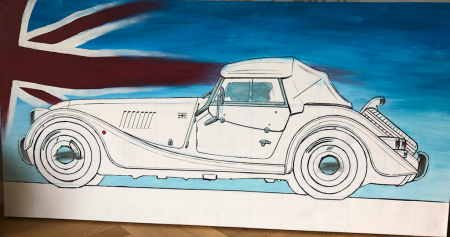 Great so far.. Make it a green colour and silver bonnet & you have a buyer here..
Love it..some talented people on here !!! Clearly grade C is well below standard !!! What a talent, that looks really nice. As for school exams, well as the alphabet only has 25 letters ( the angel said "no-el") I didn't have an art rating. Terrific painting, very tallented ! !